Dubai, 19th September 2018 – Thanks to the support received by Ghana Tourism Authority, Evolvin’ Women received over 100 applications to attend the next Pop Up Academy. 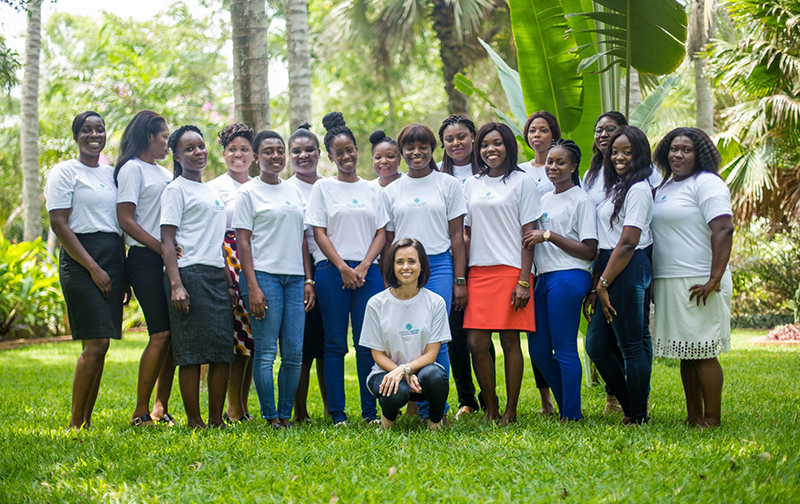 A team of assessors conducted over 60 interviews in Ghana and shortlisted 17 ambitious women who are determined to build a brighter future in hospitality for themselves, their families and communities, despite the challenges they have faced growing up. On September 3rd these 17 shortlisted women began the Evolvin’ Women Pop Up Academy that includes access to LearningOnline.xyz’s – Cudoo online learning platform which will help them learn foreign languages and professional development skills over the next 3 months in their home country. Ivan Vasiliev, CEO of LearningOnline.xyz, said: “It’s an amazing feeling to see first-hand the social impact of what we do at LearningOnline.xyz and we are immensely proud of our partnership with Evolvin’ Women to empower women from across the world to learn new skills and build a brighter future”. Once they complete the training program, Evolvin’ Women will assist the participants in preparing for interviews and placements for a period of 12 months with partner hotels in the UAE. At the end of their work experience, Evolvin’ Women will support these women in finding employment in their home country thus enabling them to become financially independent and invest the skills learned to train their community through the Evolvin’ Communities Hub. Assia Riccio, Founder of Evolvin’ Women, said: “This new partnership represents our commitment to social impact. LearningOnline.xyz is helping us provide unemployed women with access to equal development opportunities and we are very grateful to the team for believing in our vision”. Evolvin’ Women is a socially responsible platform for sourcing female talents in hospitality. The organization connects hospitality partners to women from developing countries who lack access to quality education and employment opportunities due to personal, political or cultural circumstances. Women join a Pop Up Academy and together with Cudoo and other educational partners, prepare to secure international entry-level employment and return to a job in their home country where they become a contributor to their family, community and national economic growth. Its Pop Up Academy has already helped over 20 women break into the hospitality industry and build a brighter future for themselves despite the personal, economic and cultural constraints that they have faced growing up. LearningOnline.xyz and Evolvin’ Women signed a Memorandum of Understanding (MoU) in July this year to work towards improving the employability of women from developing countries by providing free online access to thousands of eLearning courses available on LearningOnline.xyz’s – Cudoo online learning platform. For more information on Evolvin’ Women, please contact assia.riccio@evolvinwomen.com or visit evolvinwomen.com. A social enterprise at heart, Evolvin’ Women is improving the employability of women from developing countries and helping hospitality businesses in the Middle East and Africa embed social responsibility in their business practices. Due to our commitment to the Sustainable Development Goals #4, #5 and #8 and our work in the field of equality of opportunity, in 2017 we joined the United Nation Global Compact and the UAE task-force for the 7 Women’s Empowerment Principles (WEPs).